Happy Day-After-Thanksgiving for my American readers! I hope everyone had a wonderful holiday and enjoyed some time off with your families. I'm sure many of you are out shopping today - maybe even you've been up since midnight. 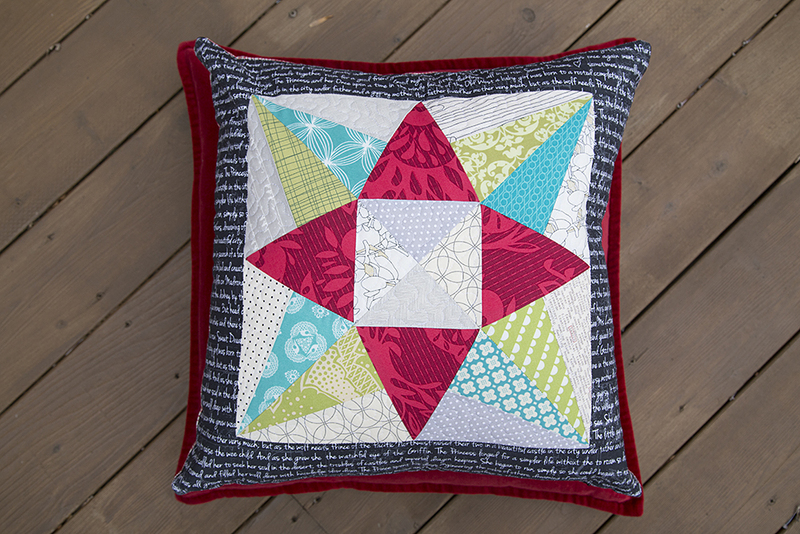 But for those spending time at home today, I'm very happy to share my next quilt from Vintage Quilt Revival with you, the Star Bright Quilt. But before I get to the quilt, something really, really exciting arrived on my doorstep Tuesday afternoon. My copies of the book! And this is awesome news because it means the books are all in the warehouse here in the United States now and being shipped out to retailers. So you should start seeing it soon in shops and if you ordered it online already, chances are you will be getting it sooner than expected! Woohoo! I also have a few copies available in my shop ready to ship. Those are signed by all 3 of us authors. If you happened to purchase a copy from somewhere else, you can get signed bookplates in my shop as well (The $1 cost for those just covers the shipping and paypal fees). Back to today's quilt share! 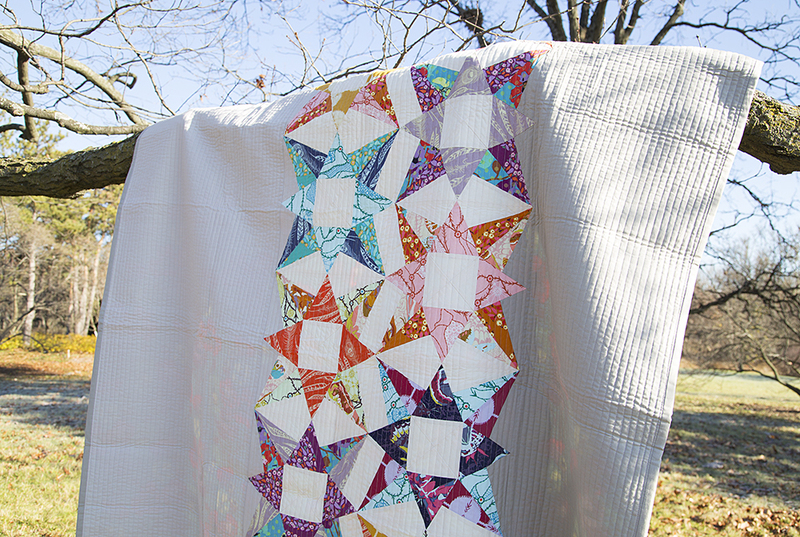 This the my Star Bright quilt and definitely one of my favorites. 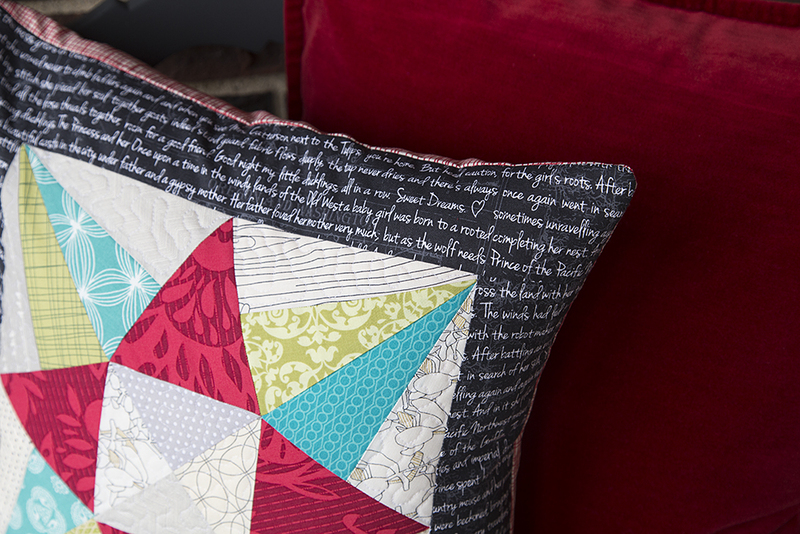 Maybe because it combines a few of my favorite things: paper piecing, stars and fabrics from Anna Maria Horner. It's lap sized and quilted with straight lines. I'm not sure if I mentioned this in my last post, but something I love about this book is that many of the projects use 12" x 12" finished blocks. This makes the quilt patterns really flexible. If you like a layout, but want to switch out the blocks, it's really easy. Just pick one (or more) of the other 19 blocks in the book (or another block you happen to know and love). Make your blocks and plug them into the pattern. I was motivated last week to do a bit of Christmas sewing for the house. 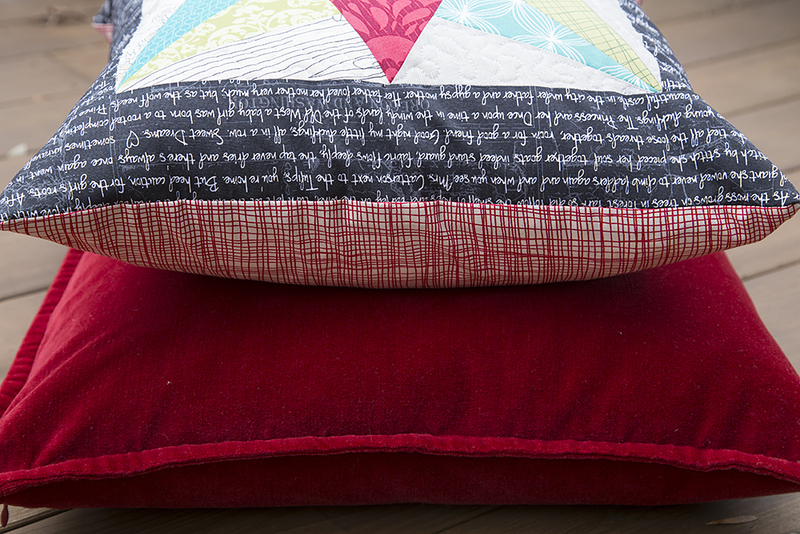 I used the block from this quilt to make a new pillow for my couch. I sashed the block in my favorite text print by Violet Craft's Madrona Road line. The backing is an awesome red crosshatch by Lucie Summers. I did some light free motion meandering quilting in the negative space and then assembled using Katie's invisible zipper tutorial that I love so much. I think it matches the Christmas quilt I made last year quite well!